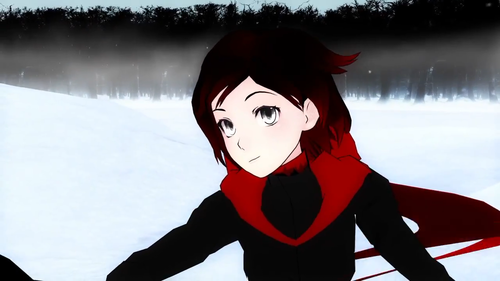 Crimson Otaku's Anime Blog. – Two guys talking anime on the Internet! This show was just to epic and beautiful but was way to confusing to get what was going on. The best thing about Karas was the fight scene which were over the top and amazing I mean fights would go from sword fights to a dog fights just like that which left me going wow. The art style was really well done aswell blending 2D and 3D together making for amazing and beautiful scene’s which again impressed me. Now we get to something I didn’t like which was the story nothing really gets well explained that well and the whole story just get to confusing to follow what is going on but to be honest I just stopped caring about what was going. There was one thing I did like about the story which is how it followed 3 different people but this was also one of the reasons it got confusing. The other thing about this anime is that it is an ova series of 6 episodes and it was only made to commemorate the 40th anniversary of Tatsunoko Production. I would heavily recommend this to anyone who just wants to watch something were they don’t need to care about the story and just wants to enjoy some amazing fights scene’s or if you have 3 hours you want to kill. 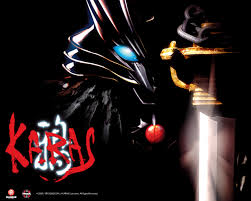 This is probably now one of my favourite ova series that I have watched I am going to give this show a 9 which it does deserve for what it is. I should start by saying that I have mixed feelings about this show there are one or two thing that I liked but a lot that I didn’t. What I didn’t like was the lack of character development which leaded to me not being able to get behind the characters and feel for them which then leaded to some of the main parts not having a big effect on me even though I liked the idea of them. I didn’t like the lack of a good romance story it just has the girl and the protagonist falling in love with out giving you a good explanation for it. One of the things that I did like is how the show had the protagonist go down one of the girls route and then the story would go back to a certain point in the show and then it would go down a different one but this was one of the reason it was hard to get behind a character. I also liked the last route he went down which was his sisters and I think that what happened was interesting and had some good ideas. 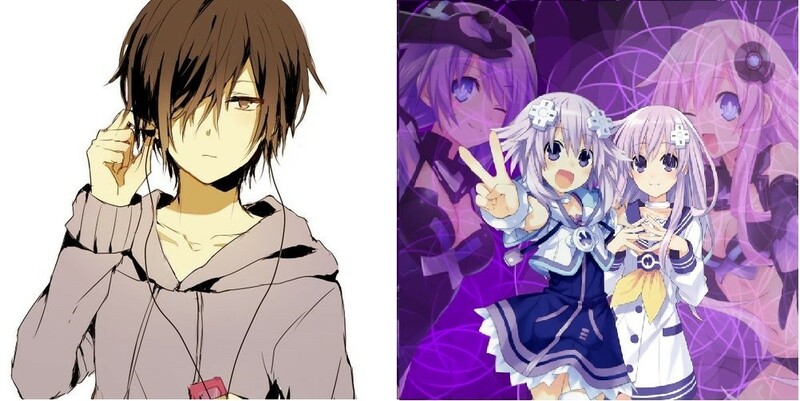 I think if they made this just following his sisters route and added character development with a good romance story were it should them falling in love and not just have them randomly confess to each other this show could have been really good, but this show is a visual novel adaptation and I havent played it and don’t know if I will so I don’t know well it followed the visual novel. I am going to give this anime a 5 which is a shame because I think this show really had some potential. 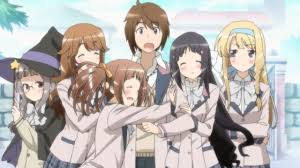 Today im going to talk about Nakaimo-my Sister is among them which is a show that i have just finished watching and it wasnt what I expected. 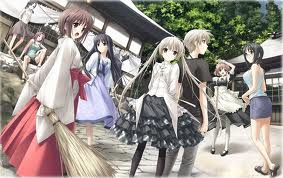 When I went into this show I thought it was just going to a generic harem anime where one of the girl was his sister which it kinda was but it had like a mystery type feel behind it because he didn’t know which one of the girls in his harem was his little sister. I found this the best point of the anime because you don’t know which one is his sister as well and each time you think you have figured out who it is something else will come up it just keeps you guessing. That’s really the only thing that makes this show stand out. The rest is just what you will find with any other harem which isn’t a bad thing unless you looking for something new. As for the Characters again they just are just again generic but you do get some good character development. I will say that this show is ok and that’s about it I would say that if you like harem’s and have some free time to go and watch it. I don’t think this show will get a second season and as for me I wouldn’t mind a second season but it’s not something I want badly. this show gets a 6 from me. Hello everyone I just wanted to say that i’m coming back to post on this blog. I know I haven’t posted in a long time but I had a lot going on and then I found out that zero had started another blog so I didn’t if is should post anymore but after thinking about I want to give it another go. I don’t know if zero will keep this blog up for me to post on or if he will come back and start posting on this blog again I guess we will have to wait and see. im planning to try to post once a week and I know that i’m not that good and don’t put as much detail into my reviews as zero did but I hope you will like them. Hey guys, I’m back from a long hiatus and i have decided to move to blogger. This is because i can use this much more easily and now my friend “Zenter” is not blogging with me anymore i felt it was time for a change of scenery. I am gong to be moving all my previous posts from WordPress to here and adding some First reactions to some of the newer stuff. I will not give my final thoughts on Attack on titan as of now but a review is planned to come soon. I have decide to change my style a bit more and refine it and when i get a better mic i will do most my Vlogging on video. Also look out for The Ani-storm podcast which you can follow on twitter @AniStormPodcast which i will be participating in and as always you can follow me on Twitter @NightZero78. “The difference between fiction and reality? 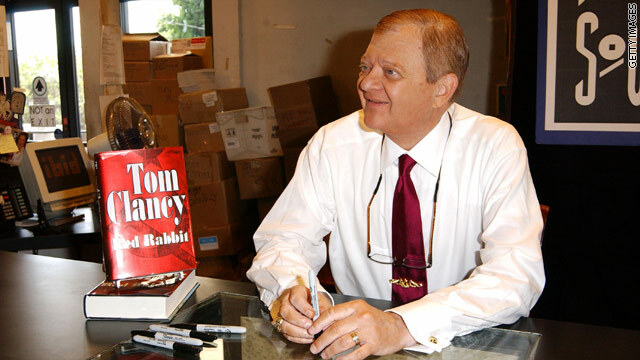 Fiction has to make sense.” – Tom Clancy. RIP, you made some awesome Novels and Games inspired from you novels, I shall play Rainbow Six in your honor.